Speakers at a seminar laid emphasis on the formulation of "entrepreneurship policy" to ensure the employment and financial solvency of country's huge number of young people. They said if the government makes an inclusive plan, Bangladesh would again lead the journey of attaining sustainable development goals (SDGs) what it has done for MDGs. The observation came at the seminar titled "Internationalization of Entrepreneurship for Employment" organized by the Entrepreneurial Economists Club of Dhaka School of Economics (DScE) at DScE's conference room, said a press release on Sunday. Trust Bank's Additional Managing Director Humaira Azam and Senior Vice President of Exporters Association of Bangladesh (EAB) attended the seminar as special guests. Program Coordinator of DScE's Entrepreneurship Program Professor Dr Muhammad Mahboob Ali chaired the session. Dr Moazzem Hossain said the government should work for implementing SDGs like MDGs where the country is a role model. "Bangladesh needs to utilize the young generation by formulating a working plan towards the journey of achieving SDGs." Humaira Azam said the most important factor for Bangladesh is to create a healthy situation in the banking sector and Bangladesh bank is trying to improve the condition. Mohammad Hatem observed that an integration of international business, entrepreneurship and strategic management needed for intellectual and personal origins of the work for "international new ventures" and "international entrepreneurship" in the country where DScE can work as a connecting hub. Dr. Qazi Kholiquzzaman Ahmad said DScE is trying hard to work in line of the government's vision through arranging Post Graduate Diploma in Enterprise Development and Master of Economics (Entrepreneurship Economics) programmes as well as Bachelor of Entrepreneurship Economics (in future). He put emphasis on social justice and removing income inequality all over the world including Bangladesh. 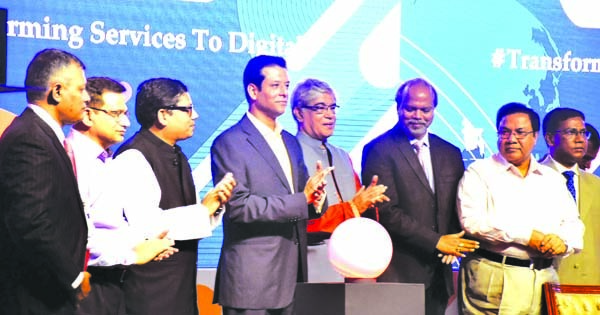 "Bangladesh Bank should come forward with a policy like Chinese Banking style in one stop services for entrepreneurs so that they can access to get start up fund," he opined. Among others, DScE's Assistant Professor Rehena Parvin was present.